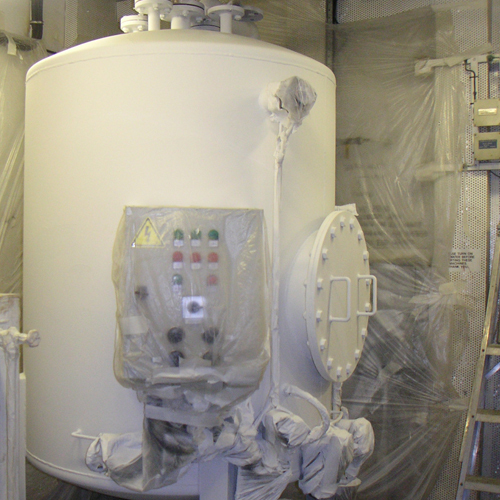 Nexus were contracted by Cammel Laird Shipyard to provide a solution Hot Oil Tank on board the vessel which required the tank to be insulated for personal protection /Anti Condensation and thermal. 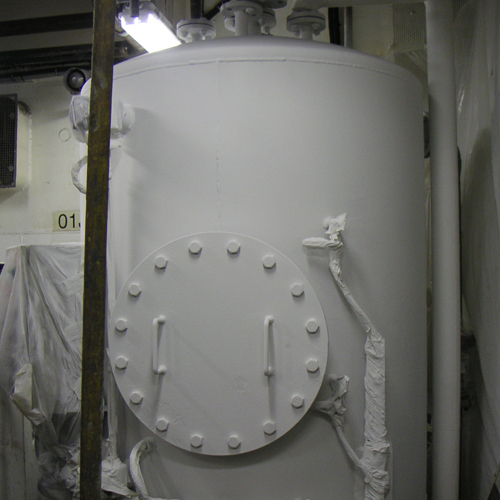 The tank was operating at a temperature of 700oC which required a total thickness of Tempcoat 101 of 1.5mm ( 1500µ ). The contactor Pyroys applied the system in 3 coats, resulting in a total time including drying between coats of 4 hours, this resulted in trades getting access to mork place rapidly. The use of Tempcoat also meant Gauges, Control Panels pipework etc to remain in original positions and clearly visable after application.